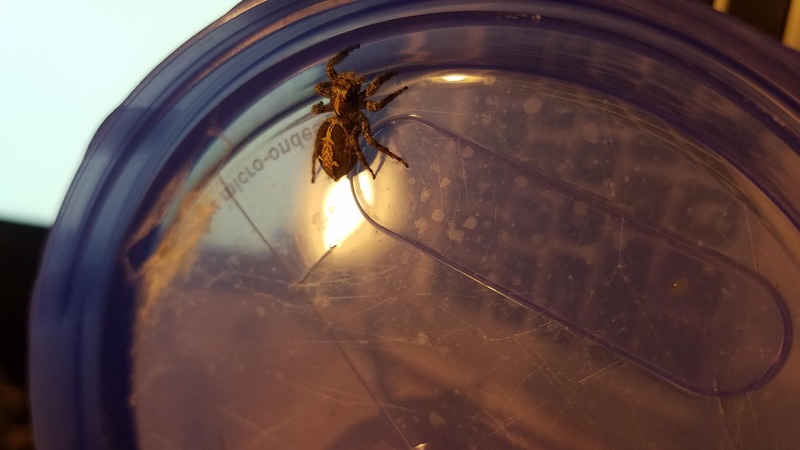 I'm sure it's a jumping spider. Just not sure of what species. And what gender? I'm thinking female. It just ate so it looks full right now.